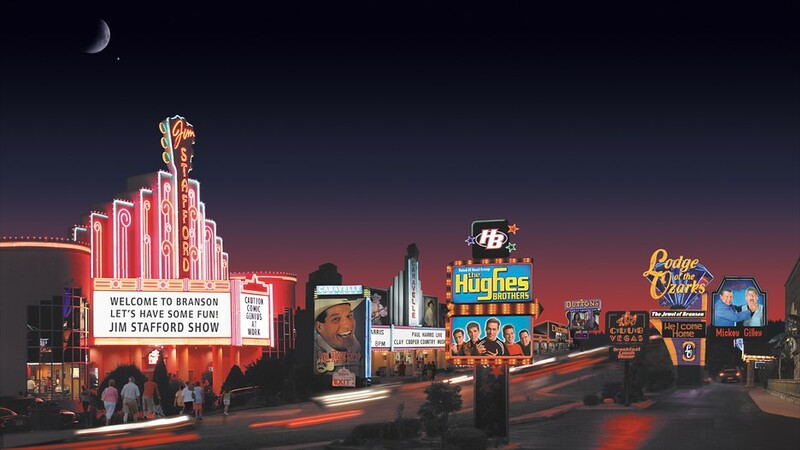 Great Vacation Spots for Seniors – Branson. If you are a senior looking for a great place to vacation and stay in a cozy (or extravagant such as Big Cedar Lodge video found below) cabin, you may want to consider Branson, Missouri. It has been written before just how “senior friendly” Branson is for singles or couples. Of course, Branson’s numerous attractions are open to anyone and younger families would enjoy them too, but we picked out these 5 activities and locations because they seem to attract the interest of older travelers. One of the reasons they are noticed by seniors is that they tend to have a slower pace and provide a relaxing environment where you can take your time, relax, visit a spa, or just listen to the birds. So, what do you do after finding a Great Vacation Spots for Seniors – Branson? That’s why the staff at Cabin Spots highly recommends Branson, Missouri. We know that some older vacationers enjoy zip lining and skydiving. 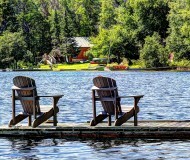 But this post is written for those who prefer the slower pace and a place where you can truly unwind after finding several cabin rentals to your liking. Branson, Missouri– Branson, Missouri is a high attractor for any age due to the wide variety of activities, show, and highlights that you can find there. There are also some little known natural locations that you can visit that will help you relax and enjoy nature. Try the Top of the Rock restaurant. You can enjoy a pristine view of the town while dining with the finest food and wine list. It’s an elegant yet casual dining experience that you’ll be sure to want to return to time and time again. Wine-tasting Tours– If you like tasting different wines or touring the grape country, why not take a tour through a wine-tasting tour to try out different types of wine? The Lindwedel Wine Garden is one such opportunity. You can check out their wine tour schedule and see when they are available to host a tour. It’s a delicious way to enjoy Branson! Miniature Golfing– Many seniors enjoy miniature golfing as a way to enjoy a recreational activity that allows them to go at their own pace. There are many different miniature golfing facilities in Branson that you can try out and relax and enjoy a round of golf or any of the other activities that you can enjoy in Branson. The Branson Community Center– The Branson Community Center is a great place for seniors to relax, play a game, visit, and have some refreshments. There is even a daily meal program created especially for seniors. You can take a Zumba class, enjoy entertaining speakers, and many other activities. The center is located at 201 Compton Drive in Branson, Missouri. Ruth and Paul Henning Conservatory– If you enjoy exploring nature and discovering nature in the White River Hills area of western Taney County on the west side of the town of Branson. You can enjoy hiking trails, bird-watching, and picturesque scenes. Each of these activities can be paced to your mood or energy level of the day. Embrace the slower side of life while staying in one of the most beautiful locations in the mid-south. 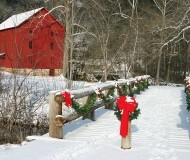 If you are looking for a great way to enjoy Branson and you prefer the slower pace; try one of the above opportunities. There is nothing wrong with taking the slow road to Branson’s many treasures. If you want more ideas on activities that seniors can enjoy including many of the Branson shows and more, try this link: Explore Branson.com. No matter what your age, Branson is a great place to unwind. Enjoy nature, eat a delicious dinner, and tour the countryside in beautiful Branson, MO. Once you’ve visited Branson, you may also want to explore many of the other vacation opportunities in the “Show Me State.” Missouri boasts thousands of acres of Ozark mountain foliage, lush valleys and rivers, and many other amenities to take in and enjoy, no matter how old you are. Taking a vacation is a fun and rewarding experience but it is also a bit scary. You’re away from home, you may not know your way around the location that you are visiting, and you have to be aware of potential dangers. Taking a few precautions and planning ahead is all you need to do to make sure that you’re not caught without the proper resources when away from home. Make sure your car insurance is updated to cover the states that you are visiting. If you will be traveling from another state, remember that you will not be under your home state insurance laws. This is especially true while driving through “no-fault” states en route from your home. It might help to find the insurance laws that regulate the states you’ll be visiting just to be aware of the laws in that state. Check your vehicle before you leave so that you will know that you’ll be safe on vacation. You could always have a flat tire or other “uncontrollable” mishaps to occur. It helps to have your car checked out so that you rule out a mechanical problem before hitting the road. Double-check to make sure all of your medicines are packed and that you have extra clothing, food, and water. One of the problems that seniors run into while vacationing is that they forget their medications or other important essentials. This can cause a problem if you are insulin-dependent or if you forget medications that are important to your health. In fact, it can be a life-threatening situation. Make a checklist of your necessary medications before you leave and double-check your supply before you go. Check the weather. You need to know what kind of weather you will be up against on your trip. Take action so that you can be adequately prepared for it. Whether it is heavy rain, thunderstorms, snow, ice, or extreme heat. You need to be able to take proper clothing and other items that will allow you to handle each situation. If you are old school, make sure and take a weather radio with you. Also, many smartphone apps are available that will keep you in the know weather-wise as you travel. Follow these tips when you vacation, whether you go to Branson or any other location. You will not only have a great time but also stay safe while visiting another state or location. By thinking ahead, you can avoid problems and enjoy your vacation.